The mythical Keller Estate takes over a prime vineyard in the Mosel and will produce Mosel wine as of 2018. Here some background. Weingut Keller is one of the household names in the world of wine. Its wines are among the most sought-after and heralded worldwide. But Klaus-Peter and Julia Keller also share a passion for wine in general. At their table, you will find wines from the Burgundy, Jura, old Bordeaux, Piedmont, etc. as well as a lot of Riesling, many from the Mosel. What is less well-known is that Mosel blood runs through Klaus-Peter's veins: His mother comes from a wine grower family in the Mosel. 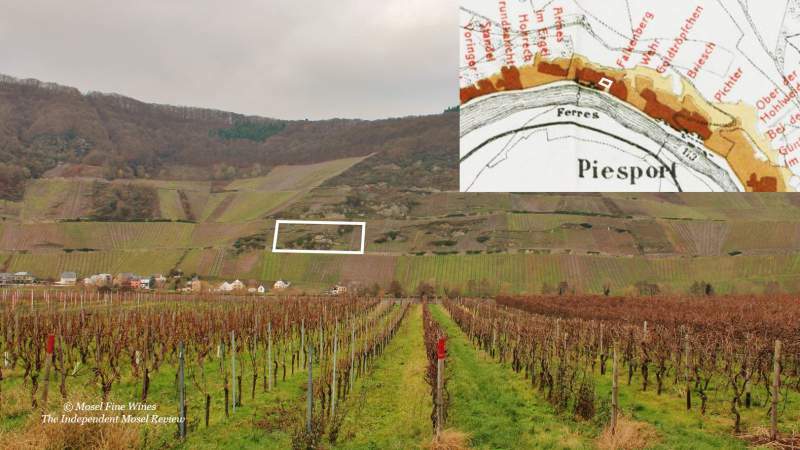 The Piesporter Schubertslay is a small 0.8 ha single vineyard tucked in a very steep part of the Piesporter hill, just above the small village of Ferres, slightly upriver to Piesport. This monopoly of the Vereinigte Hospitien has come to fame lately thanks to the efforts of Julian Haart, who leased the largest part of the vineyard (0.7 ha) in 2011. In the meantime, Julian Haart, still a young Estate, had taken over much of the historic Joh. Haart Estate and is contemplating other developments. This led him to ponder about prolonging the lease. The vineyard is certainly among the finest of the region. It forms the terraced part above the village of Ferres, a sector classified in the highest taxation categories on the old Prussian maps. The Schubertslay is not yet named on the taxation map of 1868 because the name was only coined by the Felzen Estate, a founding member of the Grosser Ring, in the early part of the 20th century. The Schubertslay yielded many great wines over the years, including one of the finest Kabinett in 2014 at the hand of Julian Haart. The love of Mosel Riesling is not something unusual among top growers. Some of the greatest fans of Mosel wines are growers from other wine regions. We are aware of substantial exchanges of wines between for instance Burgundy growers and Mosel growers. It is however quite unusual that this admiration is followed up by taking over a vineyard in the said region. 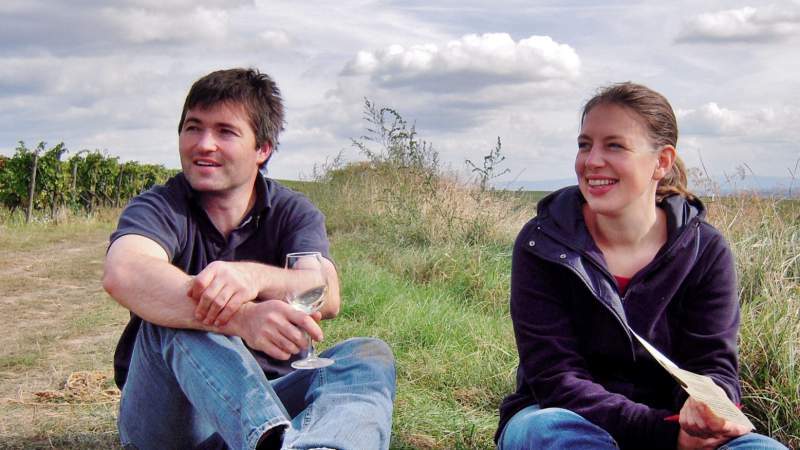 This is exactly what Klaus-Peter and Julia Keller did: End of October 2017, they took over the parcel tended by Julian Haart from the Vereinigte Hospitien and will produce their first wine in 2018. 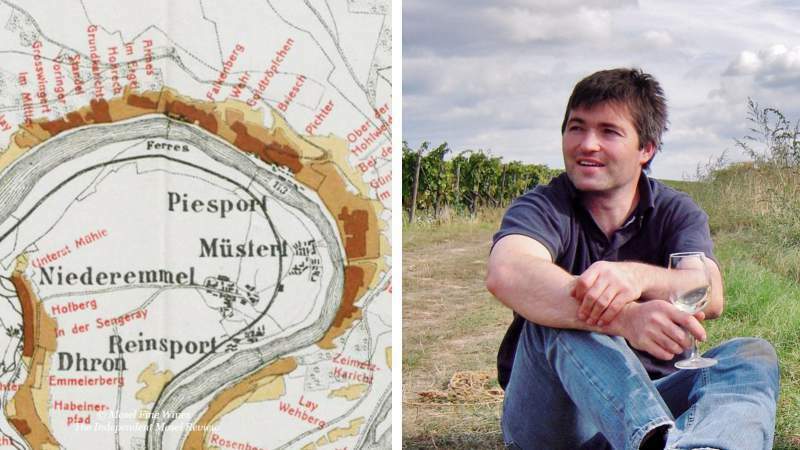 Seeing one of the iconic Riesling growers in the world taking on one of the finest Mosel vineyards is not only thrilling news for wine lovers and the Kellers themselves. It is also great news for the Mosel region as a whole. We cannot wait to taste the first Keller wines from the Mosel!